Welcome to Great Lines Hawaii, a trend setter of unique Hawaiian designed gift giving supplies. 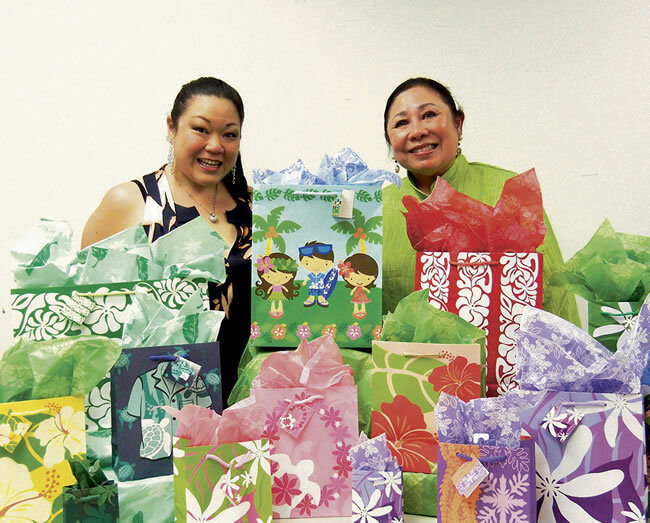 We offer an exclusive collection of Hawaiian inspired paper and cello gift bags, roll wrap, basket bags, gift boxes and stationary products. Great Lines Hawaii is a family owned business and has been serving the people of Hawaii and the world since 1993. Located in Honolulu on the island of O'ahu, we utilize talented local artists to portray the beauty and spirit of the Hawaiian Islands in our gift giving products. At Great Lines Hawaii, you can be assured of an exceptional level of professional and personalized service. If you wish to contact us with your inquires, questions or comments via email at Sales@GreatLinesHawaii.com or call us at (808) 848-7888 (8:00 AM to 4:00 PM HST). Give your gifts with Aloha, with Great Lines Hawaii!